Whatever happened to those early search engines? In season 4 of the sitcom “Parks and Recreation” there was a running joke about all the citizens of Pawnee, Ind., still using the AltaVista search engine. 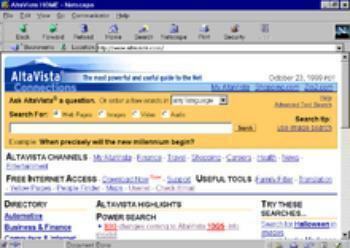 Alta Vista was one of the earliest portals to help computer users find stuff on the Internet. Whatever happened to it and all those other early search engines? In a word, Google is what happened. Before Google there were many portals vying for consumer eyeballs. According to the 1998 book “The AltaVista Search Revolution,”researchers at Digital Equipment Corporation developed the search engine in the early 1990s as a way to make it easier to find files on the public network. At about that time the Internet started to go mainstream, with consumers using their Netscape browser – which cost $40, by the way – to access AltaVista and the wonders of the World Wide Web. Today, no matter what search engine you use, you won't find AltaVista. It was purchased by Yahoo! in 2003, which retained the name for a while before finally giving up. Today, when you type in the AltaVista URL you are taken directly to Yahoo!. While AltaVista was a casualty of Google some other early search engines are still around in one form or another. Remember Lycos? Lycos stated life as a research project at Carnegie Mellon University in 1994 before attracting some venture capital. The company went public two years later and by 1998 was considered one of the first companies to become profitable on the Internet. In 2000 it sold to a Spanish company for $12.5 billion and 4 years later changed hands again, this time for $95 million. Lycos sold again in 2010 for just $35 million but then refocused its business. Today Lycos provides a network of email, web hosting, social networking, and entertainment websites. It also claims an average of more than 15 million unique visitors in the U.S.
Excitelaunched in 1995 as both a search engine and content aggregator. The company went public in 1996 and was a hot Internet stock for the rest of the decade. There is an urban legend in the tech world that Google creators Sergey Brin and Larry Page once offered to sell their search engine to Excite for $1 million, but Excite wasn't interested. Over the years that followed, Excite changed hands a number of times as it quickly lost market share but remains today pretty much the site it was in the 1990s, offering email and information content, as well as search. 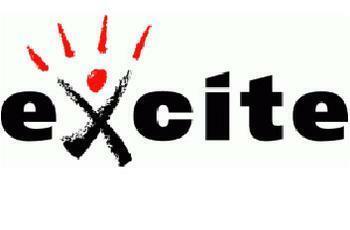 At one point Excite was purchased by AskJeeves.com, another popular search site in its day. Today, Ask Jeeves is simply Ask.com, which has an impressive Alexa ranking of 97 in the U.S. Ask Jeeves came up with a different form of search, allowing users to pose questions rather than entering just a string of search terms. The company says it now reaches 100 million global users each month, pretty impressive in a world dominated by Google. Yahoo! is the other pre-Google search engine that has managed to not only survive but carve out a significant place for itself in the online world. It remains a profitable company, due in part to its astute investment in the Chinese online retailer, Alibaba. The owners of Google soon realized that their company was worth a lot more than $1 million, especially when it experienced huge growth in the early 2000s. It went public in 2004 and has never looked back. It is believed to operate more than one million servers in data centers around the world and to process over one billion search requests a day. It holds an Alexa ranking of 1, both in the U.S. and globally and is now involved in a lot more than search – everything from robots to driverless cars. What did Google bring to the table in the early 2000s that its competitors didn't? A lot has been written about its search algorithms but something else may have helped too. Remember that in the early 2000s most consumers were still on dial-up connections. Google's page was and is extremely simple – its logo and a search box. It took no time to load, unlike its competitors, whose pages contained lots of text and data-rich graphics, not to mention ads. Today the search wars are thought to be between Google, Yahoo! and Bing, Micosoft's entry into the fray. But it might be fun to get reaquainted with the search engines from yesteryear, which present a refreshing option when exploring what we once so quaintly called the World Wide Web.